alaTest hat 2887 Testberichte und Kundenbewertungen für Logitech UE Mini Boom zusammengefasst und analysiert. Im Durchschnitt wurde das Produkt mit 4.3/5 bewertet, verglichen mit einer durchschnittlichen Bewertung von 4.3/5 für andere Produkte. Am positivsten ist den Testern die Zuverlässigkeit und die Größe aufgefallen, die Bedienbarkeit wird auch positiv bewertet. Im Durchschnitt haben Anwender dieses Produkt mit 87/100 und Experten mit 74/100 bewertet. UE Mini Boom: Is this the $99 wireless speaker to get? While it doesn't do that much to stand out from the crowded field of Bluetooth speakers in the $60-$100 range, the well-built and decent sounding (for its size) UE Mini Boom is a safe choice for those looking for a very compact wireless speaker. Yes, the Mini Boom's bass is slightly improved, but it still can't produce a ton of bass. While it doesn't do that much to stand out from the crowded field of Bluetooth speakers in the $60-$100 range, the well-built and decent sounding (for its size) UE Mini Boom is a pretty safe choice for those looking for a very compact wireless speaker. The UE Mini Boom is an excellent value for those seeking a rugged Bluetooth speaker, a repeat delight with emphasis on stellar sound performance, portability and approachable design. 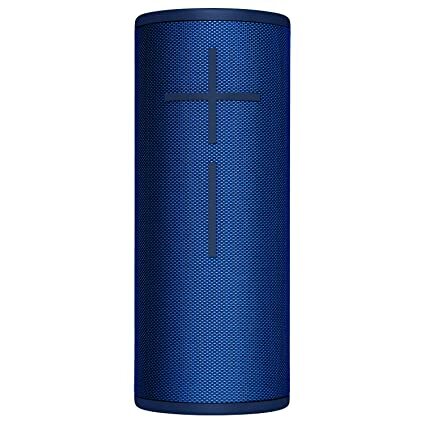 There are lots of Bluetooth speakers out there - too many, in fact - the majority of which are fairly disappointing. In the end, the UE Mini Boom does exactly what it says on the tin. It's a smaller, less powerful version of last year's Boom.